Can we train ourselves to be emotionally happier and healthier by thinking differently about the thoughts that are troubling us, even when faced with depression, anxiety, obsessive-compulsive disorder (OCD) or age-related cognitive decline? Noted scientist and author Richard J. Davidson believes we can. Davidson has devoted his research career to the study of the relationship between emotion and the brain, and results surfacing in the last two decades indicate that thought and emotion are not only much more intricately connected than ever-before believed—studies show that thoughts can physically change how the brain functions. Davidson and a new wave of scientists have been studying the possibility that we can not only change our fixed emotional predispositions--we can alter the underlying pathological brain wiring of psychiatric diseases and brain damage or deterioration. Until the late 1990s, the prevailing belief in the scientific community was that the human brain is hardwired and fixed by the time we reach adulthood and that certain disorders or trauma could only be managed, not reversed. While scientists acknowledged that some minor brain changes occur throughout our lives, the dogma that the enormous plasticity and growth of the developing brain ends and we are “stuck” with what we have as adults, was firmly held. Emerging research is changing that view rapidly. Newsweek science columnist and senior editor Sharon Begley reveals the details of this scientific paradigm shift and Davidson’s role in it in her 2007 title Train Your Mind, Change Your Brain from Ballantine Books. She outlines research that indicates we are not “stuck” with the brain we were born with, but can consciously cultivate which parts to strengthen, rewire or even regenerate. 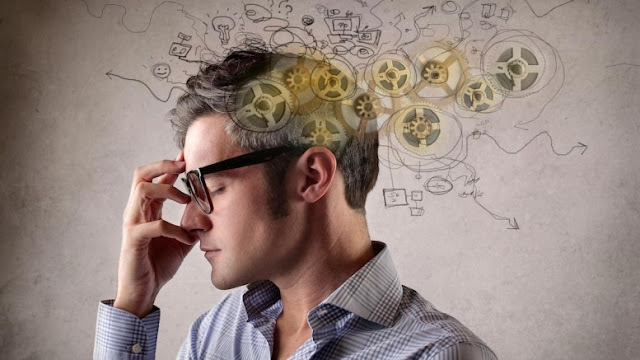 Like an athlete modifying a muscle through weight training and repetition, it is possible to change connections between parts of the brain or shift mental activity from one region to the other with concentrated effort. Here are just a few ways scientists are exploring the idea that thinking about thoughts in a certain way can restore mental health. OCD research subjects who were taught to quiet the OCD “worry circuit” by recognizing and relabeling the arrival of an obsessive thought showed not only a reduction in the impact of the disease on their lives, but PET scans revealed marked physical changes in the activity of their brains. Studies of depression offer hope that altering a patient’s attitudes about their thoughts may prevent the frequent and often more debilitating relapses that occur in 50 percent of patients. Improvements in brain imaging technology are allowing scientists to see how brain activity correlates with certain kinds of thoughts and emotions and then measure how a shift in thinking can improve mood and well-being. Increased knowledge about the physiology of age-related cognitive decline is assisting scientists in developing specific mental training strategies to counteract the changes of aging.